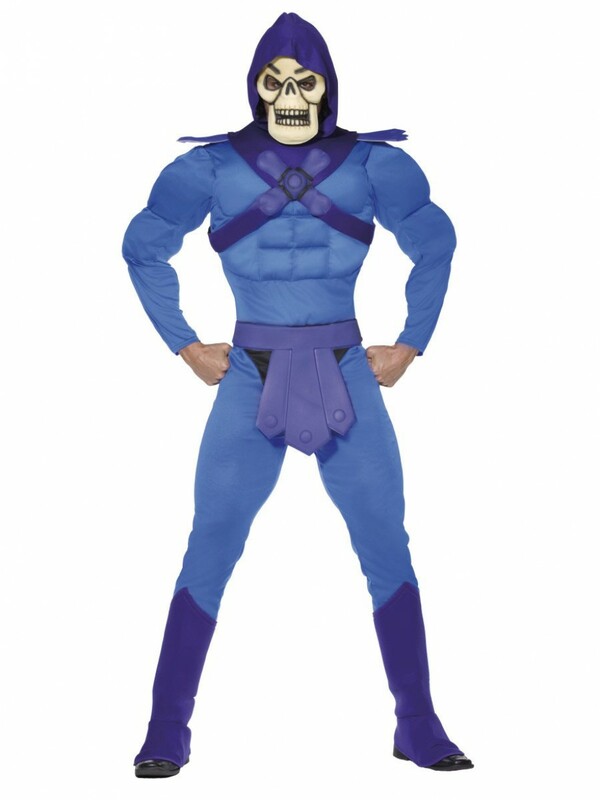 This fun licenced Skeletor Costume is ideal for TV/1980s/Comic inspired fancy dress costumes. The contents of the costume are Hooded Muscle Jumpsuit, Belt, Boot Covers and Mask. Think outside the box and attend a fancy dress party with this fabulous licenced Skeletor Costume, ideal for 1980s/Hero/Character fancy dress occasions. This great villain costume includes Hooded Jumpsuit, Belt, Boot Covers and Mask. 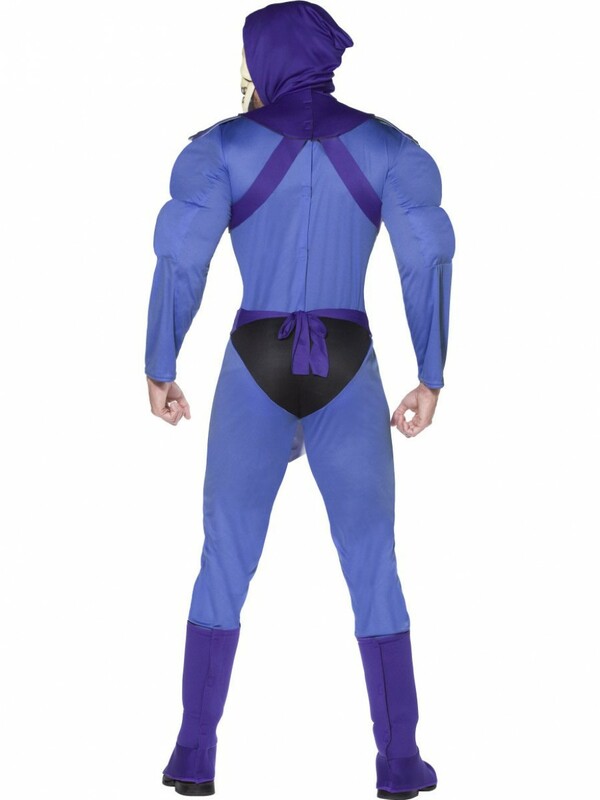 The blue hooded jumpsuit has padded muscle detailing on the arms and the chest area to bulk out the costume, a purple hood comes over the head to add mystery to this great outfit. In addition to this, a purple belt comes around the middle of the waist. A pair of deep purple boot covers are also included, whilst the detailed skeleton mask really completes the look. This Skeletor Costume rivals other villains for being the scariest of them all! 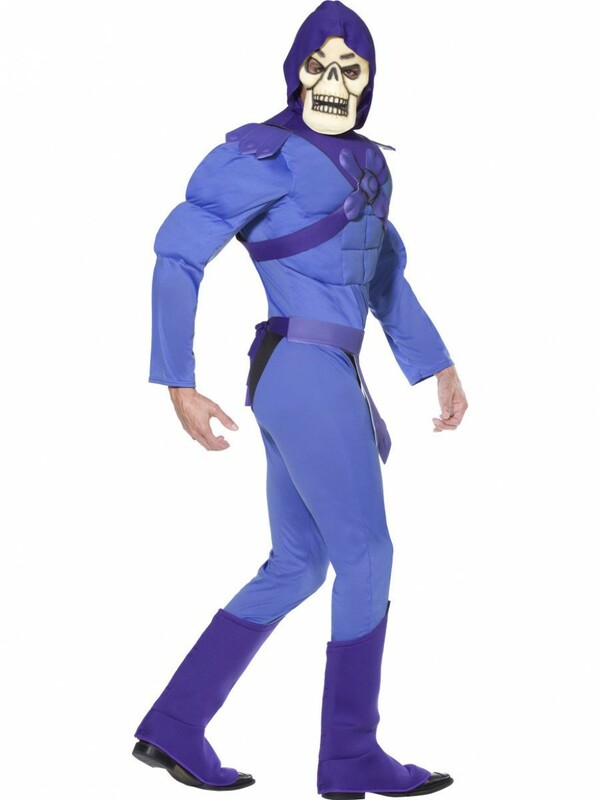 This great Skeletor Costume is perfect for any 1980s/Icon/Film Character themed fancy dress occasion! Skeletor Costume with Hooded Jumpsuit, Belt, Boot Covers and Mask.